Component quality and process reliability are ensured, first by the cutter head. It has a very rigid suspension, and always moves completely during the machining operation. The shift axis is based on the interpolation of two axes. This results in a large swivel angle for the cutter head, and a large shift path at the same time. 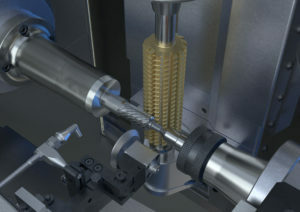 This process is why the gear hobbing runs very smoothly and high gear cutting quality is guaranteed. Another important feature is the ability of the chips to fall downward freely, preventing chip build-up. For chip discharge, various solutions are available including scraper-belt or permanent-magnetic conveyors – with the option of a deep-bed filter with magnetic pre-separator drum for ferromagnetic materials, non-ferrous metals, and plastic. The HLC 150 H also reduces costs in many ways: Its frequency-controlled hydraulic units are very energy-efficient. Next, the media supply is only activated when required. Furthermore, the quick-clamping system and easy accessibility of the machine allow changing of all tools in a very short time. 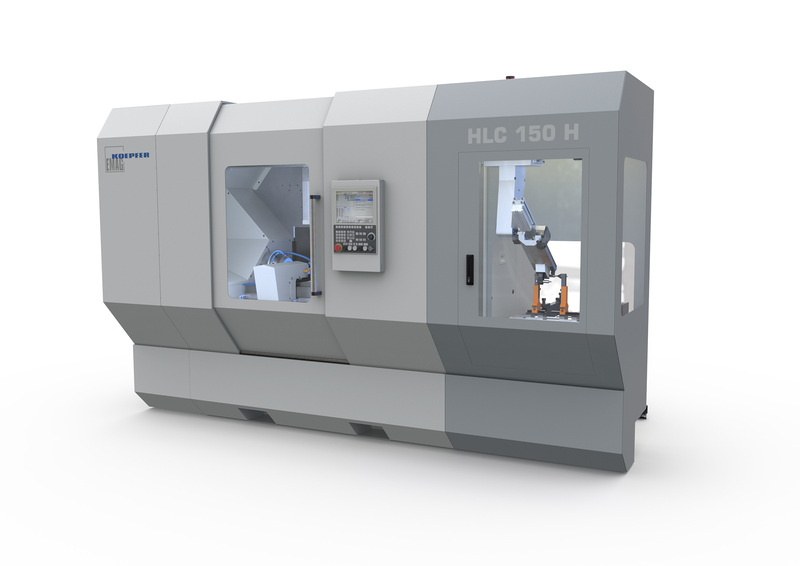 Not least, the HLC 150 H includes a largely modular automation system: Lighter components up to 3 kg are handled by an integrated high-speed gantry loader with rotating twin gripper. 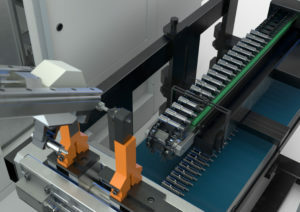 For heavier workpieces up to 10 kg a V-shaped linear gripper is available. The machine can be integrated into a complete EMAG production line at any time.